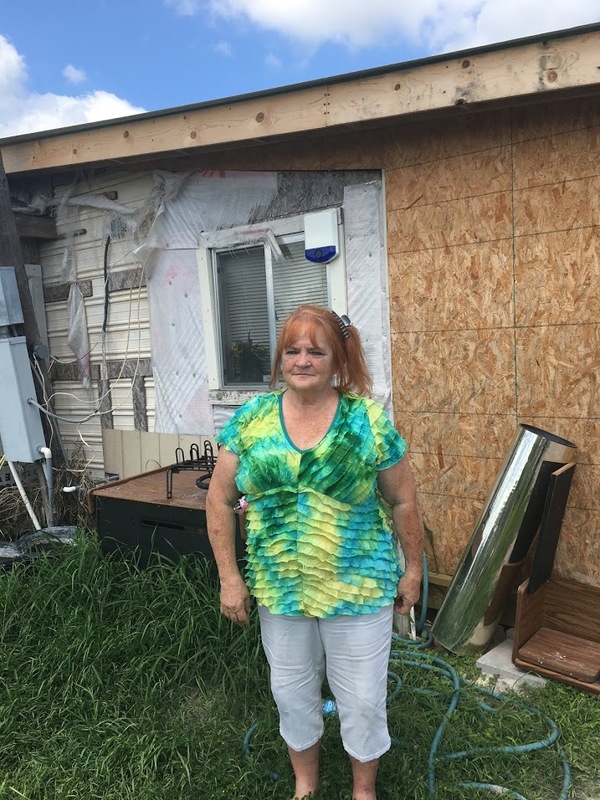 When Dorothy Barrera’s husband Pedro passed away in February 2016, she tried to have him buried in their local cemetery in the small town of Normanna, Texas. The local San Domingo Cemetery guarantees a plot to all Normanna residents, so Barrera thought it would be a simple process. But she quickly ran into trouble. As Bradford refused to alter his stance, Barrera began contacting civil rights groups, which responded by organizing a protest outside the cemetery. Meanwhile, the Mexican American Legal Defense and Education Fund, or MALDEF, took up the case and sued the cemetery board. They expected a long, drawn-out legal battle, but the defense quickly settled out of court. 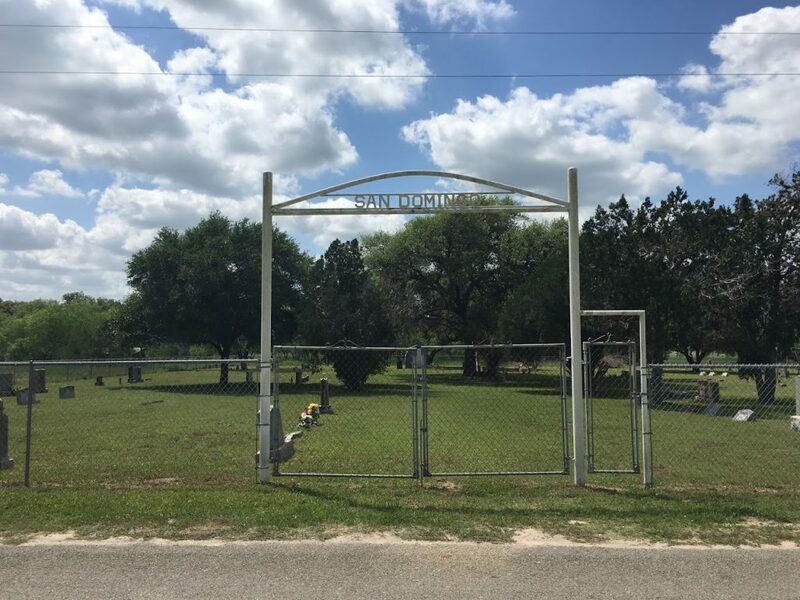 At the San Domingo cemetery itself in Normanna, Texas—where Dorothy Barrera was not allowed to bury her husband—there is a conspicuous symbol of this type of segregation. There are no tombstones with Latino surname inside the main, fenced-off area, and a lone tombstone sits just outside the fence. The fence turns so sharply at this grave that it actually cuts into the backside of the tombstone. 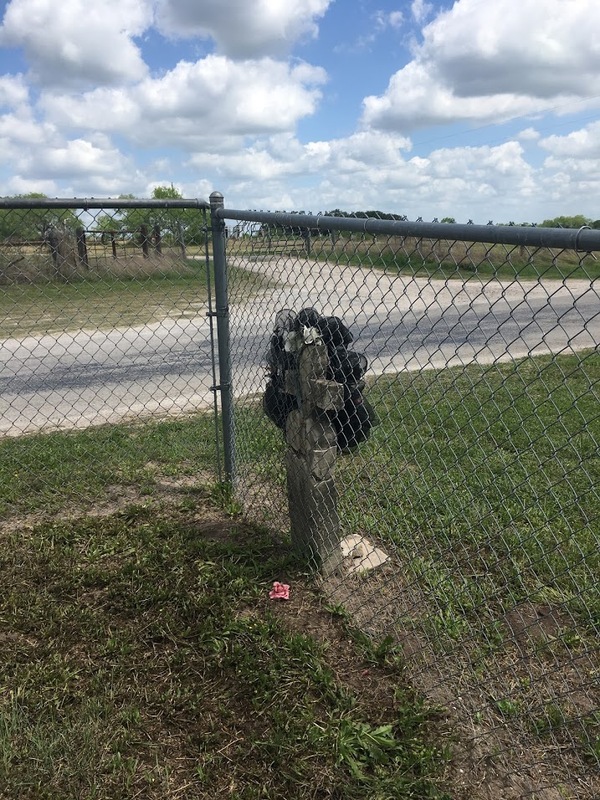 “It’s almost as if the fence was built specifically to exclude this one tombstone which also happens to be the one tombstone with a Latino name,” says Marisa Bono, a lawyer with MALDEF. The tombstone belongs to a man named Santiago Ramirez, who passed away in 1910. Across Texas, many cities have what are called “Latin American Cemeteries,” which arose out of necessity, after Latinos were denied burial in white cemeteries. Other cities have cemeteries where different racial or ethnic parts are sectioned off, either by roads, fences, or other borders. Even if cemeteries are challenged and the law is enforced, there is a separate reason cemetery segregation is difficult to undo: families often want to be buried together. If families have been buried in the same plot for generations, they often want to continue to be buried there. 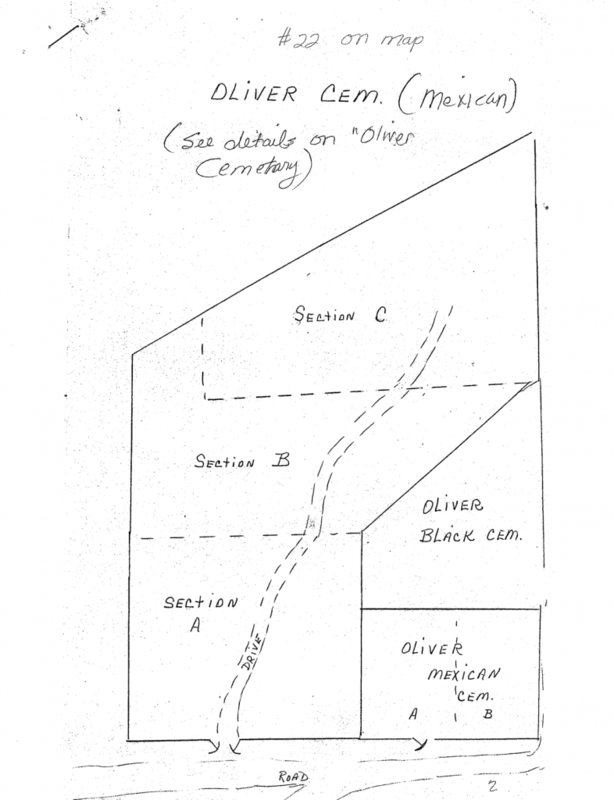 Take the Oliver Cemetery in Smithville, for example (map above). Even though the cemetery is divided into three clear, racially based sections, Smithville Mayor Scott Saunders says that no “active” segregation is still going on at the Oliver Cemetery. Yet, if a Latino dies in present-day Smithville, she will likely want to be buried with her family members, even if that means being buried in the segregated section. The San Domingo Cemetery has given Barrera permission to bury her husband there, but she still hasn’t, because she’s worried that in the racially charged atmosphere of Normanna, the grave might be defaced. Moreover, she doesn’t feel like San Domingo is a place where she can truly mourn her husband. It’s easy to look at a cemetery and see it as a relic—a place stuck in the past, reserved for loved ones who’ve passed away. 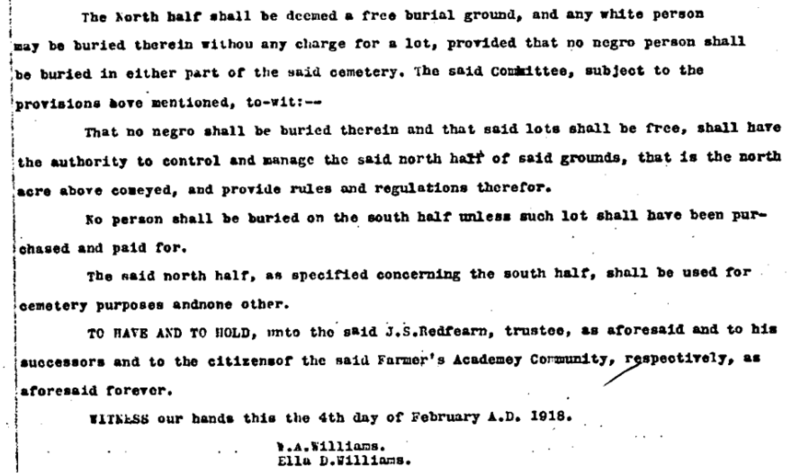 In this sense, it might not be a shock to associate cemeteries with segregation. The past was segregated, and cemeteries are too. Yet cemeteries aren’t just places stuck in history. They are living parts of our communities, and they represent some of our most deeply held values. We may desegregate cafe counters or water fountains, but at the end of the day, many Americans are still uncomfortable spending eternity underground next to a member of a different race.